About us tells who's behind inspiration-for-singles. www.inspiration-for-singles.com is the creation of Jack Zavada. While this site may be about us (never marrieds, divorceds and widoweds), it's also about the search for your purpose in life. That search is something that every person, no matter their marital status, is engaged in. Jack is 66 years old and falls into the never-married category. He has survived the joys of dating, the disappointments of failed relationships, and the frequently difficult job of living by yourself. 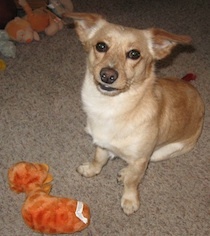 Jack is a two-time cancer survivor. Among his interests are photography, wood carving, reading, the Old West, and the music of James Taylor, Jennifer Warnes, Larry Sparks, and Alison Krauss. 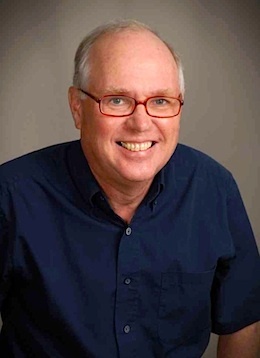 He earned bachelor's and master's degrees in English from Illinois State University and has worked as a newspaper reporter, technical editor for the U.S. Department of Defense, publications editor for a utility company, and communications director for a national nonprofit organization. 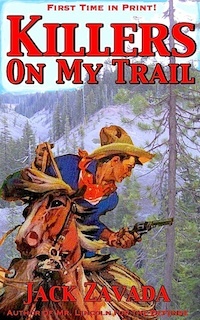 Jack is the author of four published western novels: Rebel Town, The Wolfer, Penwhistle's Prize, and West of the Pecos. 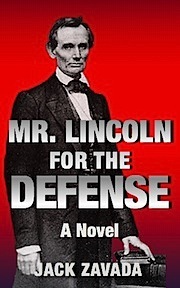 In his career, he has had more than 3 million words in print. He makes his home in Streator, Illinois, USA, a small town of about 15,000 people, located on the Vermilion River, 90 miles southwest of Chicago. He keeps in shape by walking his rescue dog, Louie, pictured at left. 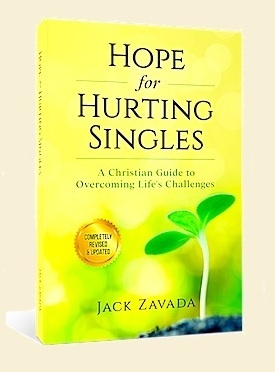 New from amazon.com is Jack's paperback book, Hope for Hurting Singles. This expanded, completely revised edition is filled with practical, down-to-earth advice on building a positive life as an unmarried person. Based on Jack's 40+ years as a single adult, it gives insights into how to handle life's challenges to emerge happier, healthier, and closer to God. 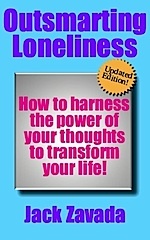 Hope for Hurting Singles offers helpful strategies to fight loneliness, depression, fear, anger, and rejection. It's written in a clear, conversational style, backed by biblical principles. Learn more about Hope for Hurting Singles. 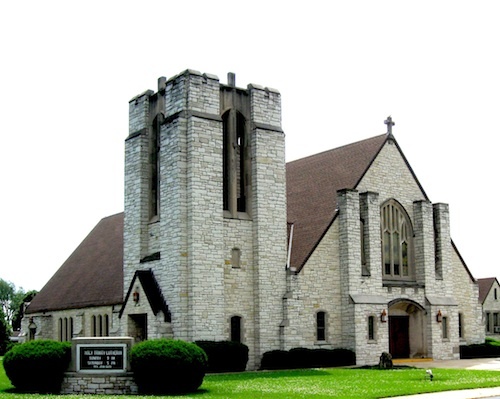 Jack is vice president of the church council and an elder at Holy Trinity Lutheran Church. 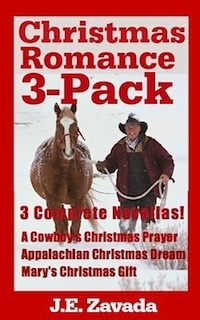 Unless otherwise attributed, all articles and poems on www.inspiration-for-singles.com were written by Jack. "Inspiration-for-singles.com is not about me. It's about you. After nine years of feedback from single people all over the world, I'm more convinced than ever that we all share the same problems: loneliness, disappointment, rejection, and frustration. Everybody on earth, married or single, is looking for someone who will listen to us, understand us, and love us. "I've done some things right over the years, too, and I pass those along on the site. The single life is uncharted territory for all of us. If you can learn from some of the things I've done right, so much the better. "Look, if you're a cynic, skeptic, or hater, this site is NOT for you. But if you have an open mind, I think you'll be intrigued by what you find here. I don't claim to have all the answers, but I do have some. We all learn as we go along, and at 64, I've probably been going along longer than you have. "While we're at it, let's talk about that 'loser' label. Some people may think that I and other people who don't get married are losers. "Really? The only one who is qualified to judge whether a person is a winner or loser is God, and it has nothing to do with whether they get married or not. "For me, and others, marriage didn't happen. There were a couple women along the way I wanted to marry, but things didn't work out. God is in control; he's sovereign. That's what I and other Christians believe. "So if you're tempted to call me or anyone else a loser, I think that reflects more on you than on us. And if you haven't been married, get that 'loser' label out of your head right now. Despite what many people think, life is not a contest. "My promise is to always tell you the truth, even when that truth may be unpleasant or hard to take. I will not lie to you for any reason. "Thank you for visiting i-f-s.com. I hope you come back often, because we're always adding new material. This site, like your life, is a work-in-progress. I'm always trying to improve it and appreciate any comments you want to make. "If you find inspiration-for-singles helpful, the best way you can thank me is to tell two of your single friends or relatives about this site. "I don't have a budget for advertising, so the most effective way to get the message to more people is through word of mouth and email by visitors. Could you please do that? Thanks very much! "You'll find over 350 pages of information, inspiration and fun here. Explore. Bookmark the site for later, and thanks for visiting!" Do you hate spam? Phew! It stinks! Unfortunately, if we listed our email address on the site, we'd be so buried under spam that we'd waste all our time deleting it and wouldn't have time to reply to legitimate emails from you. See, spammers have little program bots that prowl the 'Net, harvesting email addresses listed on web sites. Then these cyber-skunks stink up honest folks' inboxes with their creepy ads. Hand me that bar of soap! The only way to avoid it is to use a Contact Form instead. Your email through this form will get to me just the same, but the spam won't. So that's why we have to use the form. So we'd appreciate hearing what you like--or don't like--about what you've read here. Tell us if a specific page was worthwhile for you or what other topics we should cover. We're always changing and adding to the site, so let us know what's most relevant to your life as a single person. Anonymous or Get a Reply: It's Your Choice! If you'd rather make an anonymous comment, you are not required to fill in your name or email address. However, if you want a reply, please fill in your name and email address, along with your comment or question. We'll get back to you in 1-3 days. Please use the form below to email Jack. Material on inspiration-for-singles.com (IFS) is for informational, educational, and entertainment purposes only. Persons who need medical, emotional, psychological, or financial advice or services should seek out a licensed professional. The author and publisher assume no responsibility or liability whatsoever regarding use of information on this site and disclaim any warranties or guarantees, expressed or implied. Visitors to this site are solely responsible for how they interpret or use these materials. IFS is a Christian-themed web site. Every attempt has been made to present material which is inoffensive to specific people and institutions, and any perceived offense is purely unintentional. This web site is not responsible for the content or business practices of any sites linked to. The Internet can serve as a source for general information, but is no substitute for a competent, certified professional person. Visitors to this site are solely responsible for their own health, well-being, and finances and should obtain the services of a medical doctor, therapist, psychologist, attorney, or financial counselor when needed. Return to top of About Us page.